Cocaine High Effects: What Does Cocaine Feel Like? Cocaine – What are the Features and Feelings of a High? Cocaine is well renowned for being one of the most dangerous and addictive drugs available. But how does cocaine make you feel? Many people are unaware of the full effect of the stimulant, from the features and feelings of a cocaine high to the after high effects and how a cocaine hangover can affect a person both psychologically and physically. Another aspect of the drug that is often misinterpreted is the length of the high. Due to the drug often being shown as its derivative, crack, the length and side effects of a high are often misconstrued for a slightly altered drug. This article aims to clarify what the worlds most addictive drug does to your body and mind, as well as how long it lasts. Cocaine is a drug derived from the Coca plant, native to South America. According to The National Institute On Drug Abuse, it is the world’s most powerful stimulant and one of the most dangerously addictive drugs around. The white powders addictive nature continues to make it one of the most popular substances on the street and makes the features of this stimulants high unforgettable for many. Being high on cocaine is considered to be a unique experience. People on cocaine often claim to feel more confident, chatty and derive pleasure from taking the stimulant. For these reasons, the stimulant has become incredibly popular. However, being high on the drug has its downsides. The drug can also create extreme anxiety and paranoia. In addition to those negatives, it can also make the user extremely angry, as well as nauseated. In the long term, it can even cause heart defects. But how does Cocaine feel after prolonged use? Cocaine works by altering communications in the brain. This means that prolonged use of the drug can have severe psychological impairments. Anxiety and paranoia occur in most stimulant users; however, those who abuse the drug in the long term are more likely to have constant fear and paranoia, as the drug influences the brains communications. Prolonged Cocaine use is challenging to overcome. 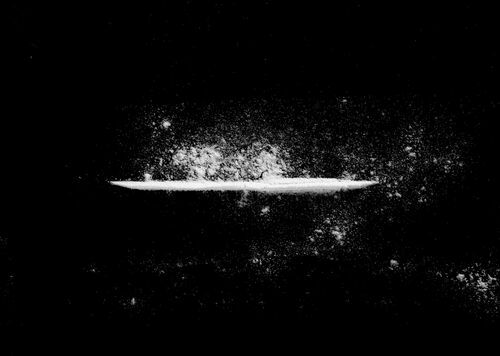 People often recall the euphoria they feel once on the drug, and because of that, they want that same exact feeling again. However, it is always that little bit more challenging to get the feeling due to tolerance. People then take more and more of the drug, and before they know it, they are addicted to the drug. It is thought the euphoria may be the main cause of the drug’s popularity, as that is what triggers the psychological side of addiction. Cocaine can cause users to feel some ways. The type of cocaine high can be determined by many factors, such as the dosage of cocaine, the person’s mood, diet or even if they have recently eaten. Euphoria – The most common of cocaine feelings is euphoria. This will make a person more energetic, chatty and outgoing than usual. They will be more confident, sometimes to a fault. The person may drink more and mix drugs in this state, as they have less concern for their wellbeing. Paranoia – Another common cocaine feeling. Paranoia occurs when the stimulant creates severe anxiety in the user that escalates. This also causes restlessness and insomnia. It may prompt the user to abuse other substances in the hope of ridding of the paranoia. Extreme Focus – Not as common as the other two forms of high, but still frequent. Stimulant users may gain focus because of the stimulant. Because of that focus, they don’t necessarily recognize anxiety or euphoria, but instead become extremely productive with the task they are doing and do not recognize what is going on around them. Depending on the task focuses on, this can potentially lead to reckless behavior. Smoking – The drug can cause a person to lose inhibition and smoke large quantities. Eating – Cocaine may create cravings for food and users may binge. In contrast, some may completely forget to eat at all. Other drug abuse – Also due to lack of inhibition as well as increased confidence. Sleeping – Paranoid and anxious stimulant users may also become insomniacs and find sleep very hard to come by. Cocaine highs usually last a relatively short time. Smoked cocaine lasts around 5-10 minutes, while snorted or swallowed forms of the drug can last between 15-30 minutes. Due to the high being so short, many users will take more of the drug and therefore experience a bigger cocaine comedown. Cocaine hangovers are very common after taking the substance. Even users who use the drug in minor quantities will likely experience some kind of cocaine comedown. Cocaine hangovers affect every user slightly differently. However, they always come with danger if the user doesn’t know what to expect. It is essential to know how long does cocaine stay in your system. Irregular heartbeat – The drug stimulates the organism causing the heart to speed up. Without the stimulant, the body has to readjust. Severe anxiety – A common effect of the drug, fear, and paranoia often do not go away straight away use. Cocaine’s after high effects are just as dangerous as the effects of the drug while high. Without proper understanding and treatment, they can quite easily escalate to passing out or taking more of the drug. In addition to that, after the drugs use, some people do not sleep or eat for days, which can cause further health issues. 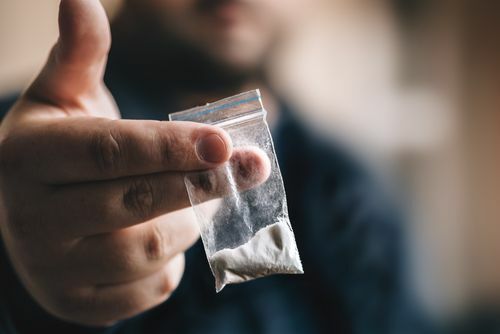 Due to cocaine being so addictive, even short-term users will turn back to the drug after feeling euphoria and not wanting to feel the after high effects. Constantly turning back to the drug causes addiction. Addiction to any drug is dangerous and bad for your health. Therefore it is important to deal with it as soon as possible. There are some ways to get treatment for stimulant addiction, so finding the one most suitable for you, quickly, will be beneficial for your health. Inpatient and outpatient care will allow you to find ways to overcome addiction and get back to living a happy, healthy, drug-free life. However, the first step is to want to seek out that care. Addiction will only get worse and worsen your lifestyle, so there is no better time than now, to seek out help. Addiction Resource » Addictive Substances: The Anatomy of Drug Addiction » Cocaine and Crack Addiction and Treatment » Cocaine – What are the Features and Feelings of a High?